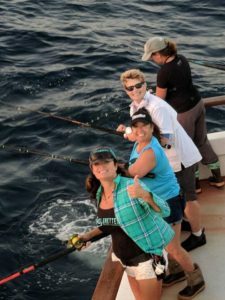 Join pro-staffers Lori Sachau of Turner’s Outdoorsman and Wendy Tochihara of Izorline for this popular all-ladies offshore tuna fishing adventure!First-timers and experienced lady anglers alike are welcome! 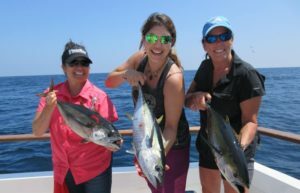 Pro-staffers and Searcher crew offer tackle seminars and live-bait tuna fishing tips, all in an educational environment. 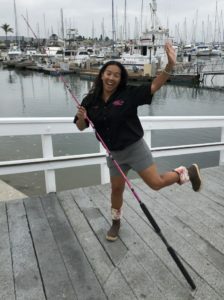 Loads of giveways from sponsors offering products for lady anglers such as Seeker Rods, Izorline, Turner’s outdoorsman and more. Many thanks to Sophia Huynh for use of her photos.